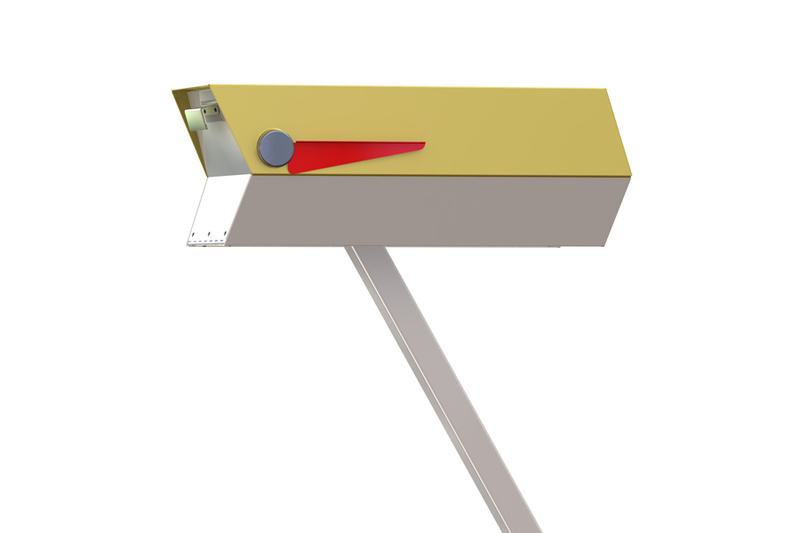 This is the short story version of the modbox – a Retro Mid-Century Modern Mailbox. 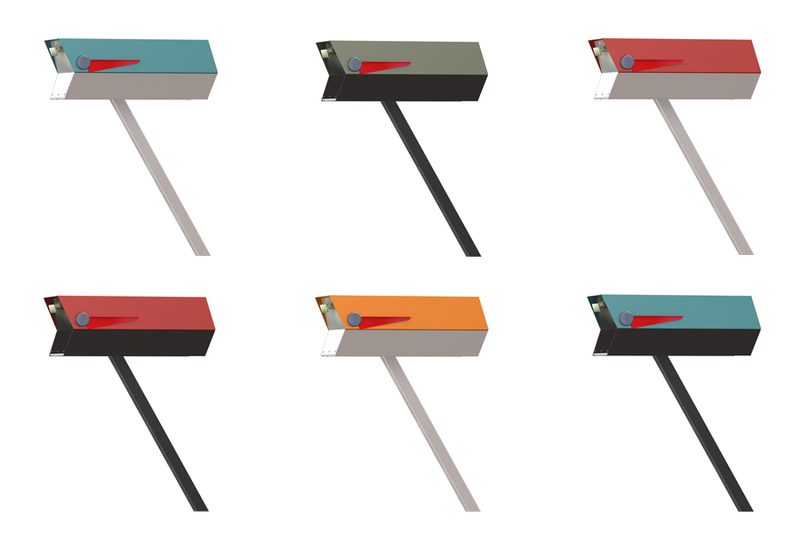 After months of researching Mid-century modern mailboxes and multiple design iterations, the end result is the modbox. The two-tone color brings out the designs lines with the perfect post angle accentuating them further. 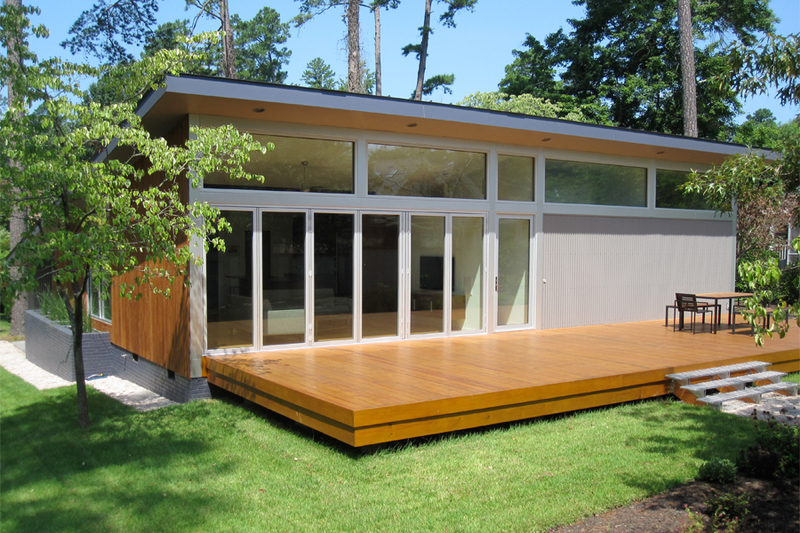 Staying true to the past, the colors are original Eichler Exterior Accent Colors as researched by the Eichler Network. The modbox reflects the best design elements from the various manufactures over the 20 year period. 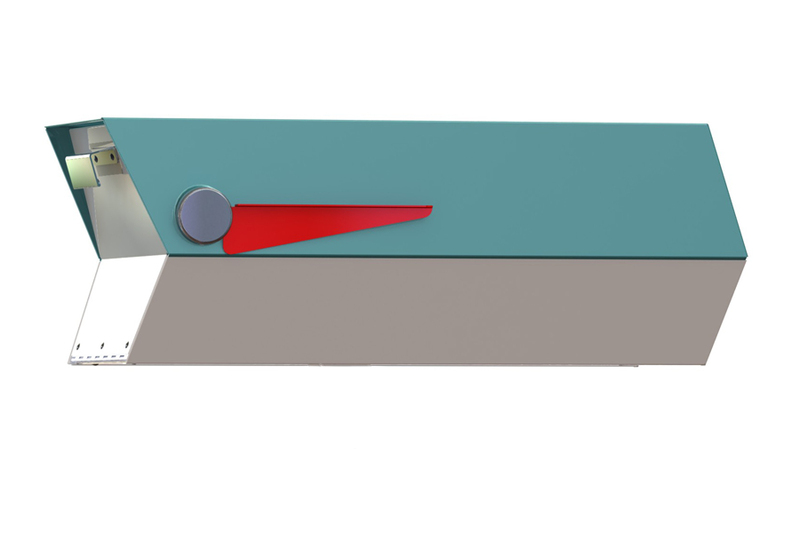 The anodized aluminum flag cap and door pull are reflections of the Mid-century and not seen on today’s mailboxes. The modbox looks sleek from any angle. When the flag is up it matches the angle of the leading edge which matches the angle of the post; good design. 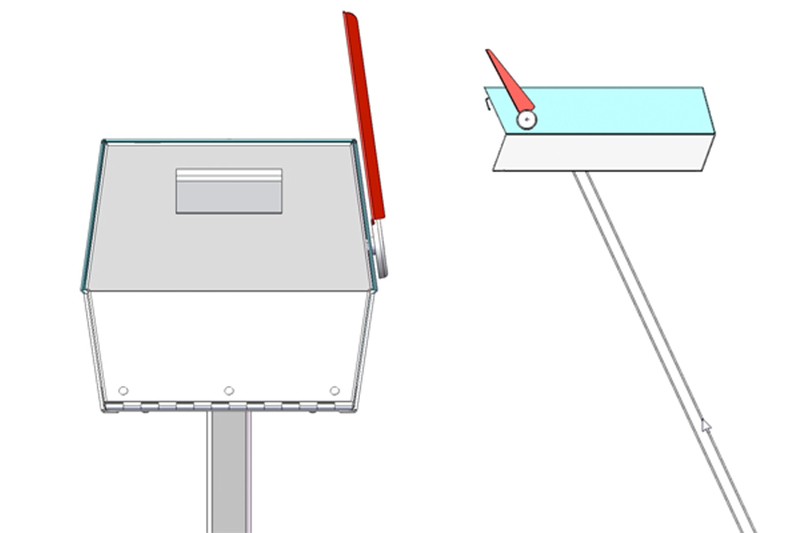 You’ll want to mail letters just to put the flag up! 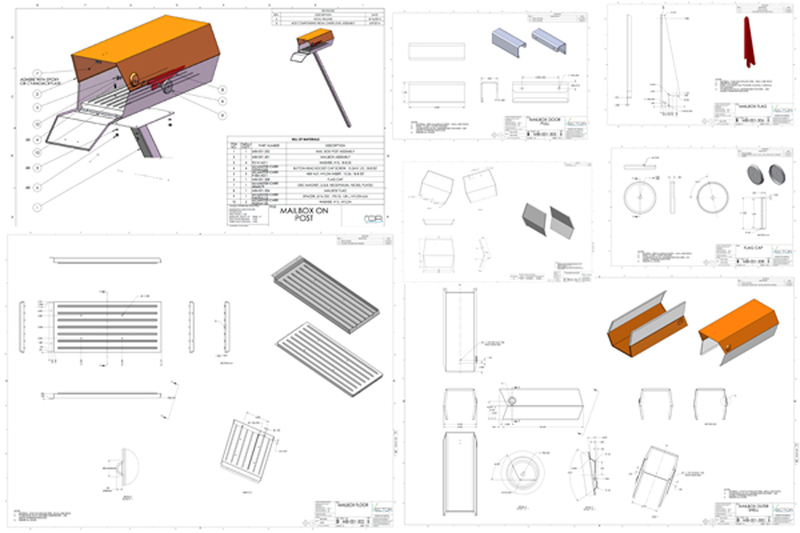 Using GoToMeeting, real-time design changes were made using SolidWorks 3D CAD Design Software. This allowed the design team to hone in on the perfect design. 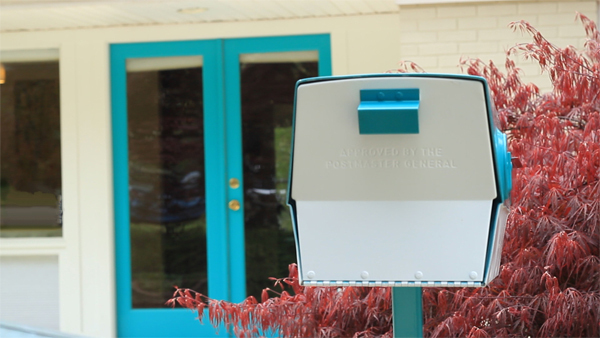 This vintage mailbox was found on Ebay, sandblasted, and powder coated. Like the modbox, it accentuates the design aesthetic of mid-century, mid-century modern, and mid-century modest homes that can be found in neighborhoods throughout the United States. In the 50s and 60s, various manufactures had their own variation on the general design. 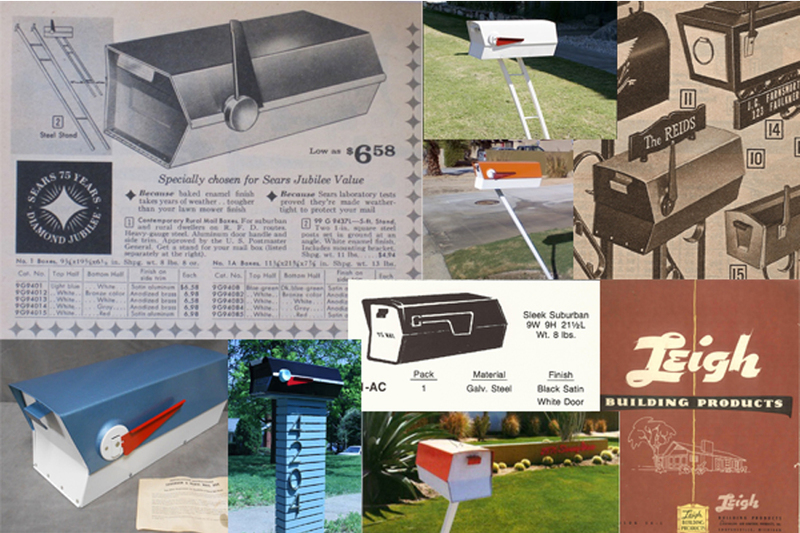 This collage shows pictures from old Sears and Montgomery Ward catalogs, manufacture catalogs, photos of mailboxes that are still in use, and a near perfect vintage mailbox that sold on Ebay. We had searched for hours (days!) to find the right finishing touches for our newly remodeled home. I believe the small details impact the final design. While I was excited to share our story, there was one detail missing. Our tunnel shaped mailbox, designed by US Postal Engineer Roy Joroleman in 1915, simply did not “work’ with or mid-century modern home! So, I created modbox. Finally, finished! Or should I say, our home renovation is complete. I love your mailboxes! We just ordered a Modbox, and I blogged about it (930stratford.wordpress.com). We can’t wait to install it when it arrives. Thanks Scott! You modbox will ship today. Love your blog, your home looks great!! Can’t wait to see photos of the modbox with your home! !